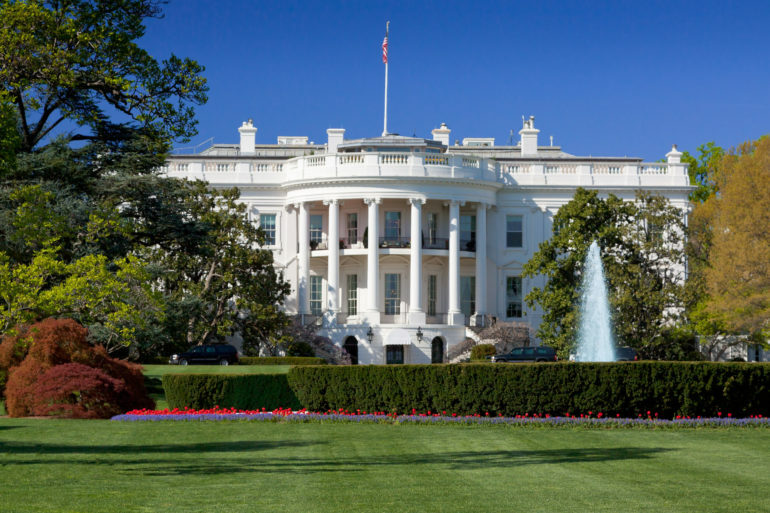 The White House released the president’s budget for fiscal year 2020 on Monday. This budget sets a vision for spending, taxes, and debt for the coming year and the next decade. It features a broad mix of spending priorities and proposes a net reduction in total government spending of $2.7 trillion over ten years from a mix of discretionary and mandatory spending reductions. This is a good step in the right direction but fails to adequately address our nation’s escalating spending and debt crisis. Members of Congress from both sides of the aisle should work together with the president to tackle out-of-control spending, tame the debt, and secure America’s economic future. Here is a breakdown of what you need to know about the proposal. In 2011, Congress passed the Budget Control Act, a modestly successful attempt to curb discretionary spending. However, time and time again, lawmakers have busted through the caps in a series of disappointing budget deals. Reducing total discretionary spending by a net $577 billion, or 4 percent over ten years. Reducing mandatory spending by a net $1.9 trillion, a 5 percent reduction over the same amount of time. Making other mandatory spending reforms, such as student loans, agriculture, welfare, and unemployment. Pairing these budget reductions with programmatic reforms that, together, will help put Americans on a path to self-sufficiency instead of dependency. Addressing waste, fraud, and abuse in Medicare and Medicaid. Leveraging the resources and expertise of the private sector by privatizing federal power agencies. Washington routinely uses accounting gimmicks to hide spending. This budget is no different. The administration wants to return to the BCA caps for discretionary spending, which is a laudable goal. It also wants to boost defense spending. The proposed budget accomplishes this by providing operational spending increases for the Overseas Contingency Operations to boost, which is intended to fund the war on terror. The White House would increase OCO and emergency defense funding, also not subject to the BCA caps, by $174 billion from FY2019 levels, bringing total defense-related spending to $750 billion in 2020. This budget, like many before it, assumes higher economic growth and revenues than the baseline. This doesn’t have any policy impact, but it does make it easier to reduce debt and deficits than it otherwise would be. Another issue is that the proposal does not address the structural deficiencies in mandatory spending programs such as Social Security, Medicare, and Medicaid. These programs are the real drivers of our spending problems – and while addressing waste, fraud, and abuse in Medicare and Medicaid are good steps, we need more far-reaching solutions to make these programs sustainable and affordable for seniors who truly rely on these programs today and the taxpayers of tomorrow. The White House is also putting forth a handful of new proposals amounting to billions in new spending. Creating new entitlement programs before addressing our current spending programs only makes them worse. Without greater action, the fiscal health of the United States will continue to deteriorate. Annual federal spending is expected to hit $7 trillion in just 10 years. The national debit will also skyrocket, hitting $31 trillion in that same amount of time. That will leave America with fewer jobs, lower wage growth and make it harder to start and expand a business. It will also hinder our ability to handle severe economic shocks or potential pressing budget priorities we can’t foresee – such as wars or another financial crisis. Americans for Prosperity is encouraged to see the administration make a good-faith effort to rein in spending. Addressing America’s debt problem will be a long-term challenge, and to meet it, we need more substantive changes to tackle out-of-control spending and mounting debt. Both parties must come together to solve our spending problem. Tell Congress to stop overspending now!